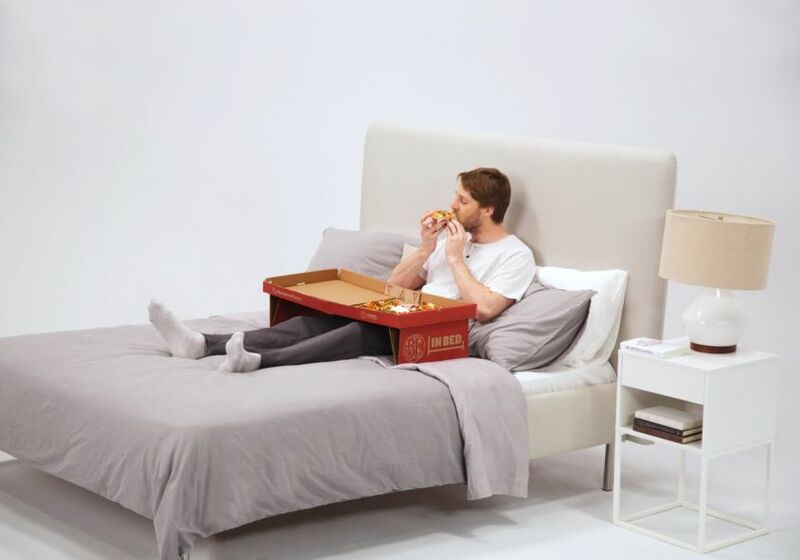 For lazy lads who like to eat pizza in bed while watching movies, the Canadian restaurant chain Boston Pizza has launched limited edition pizza box. 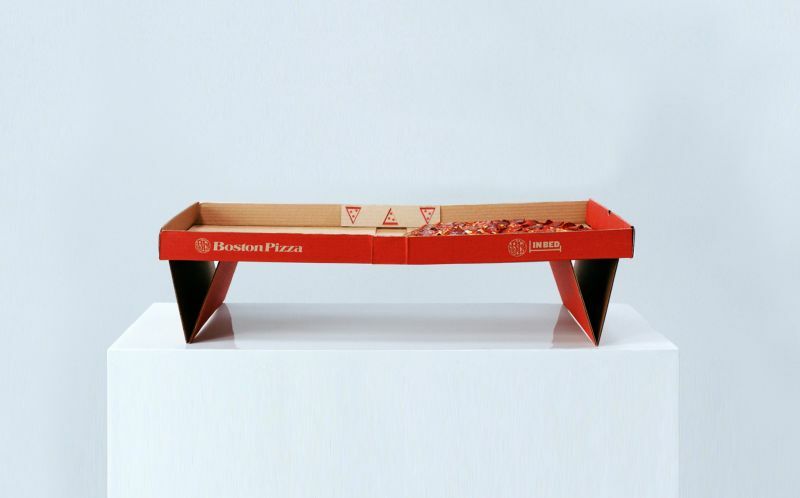 Made in collaboration with John St. Advertising, this pizza box has two foldout legs that turn the box into a self-supporting table for eating pizza in bed. As Canada’s pizza leader, we’re always looking for new ways to make pizza-eating more fun and convenient for our guests. 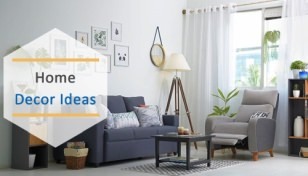 And with more TVs in bedrooms than ever, and more seasons to binge-watch, now’s the perfect time for this kind of pizza innovation. 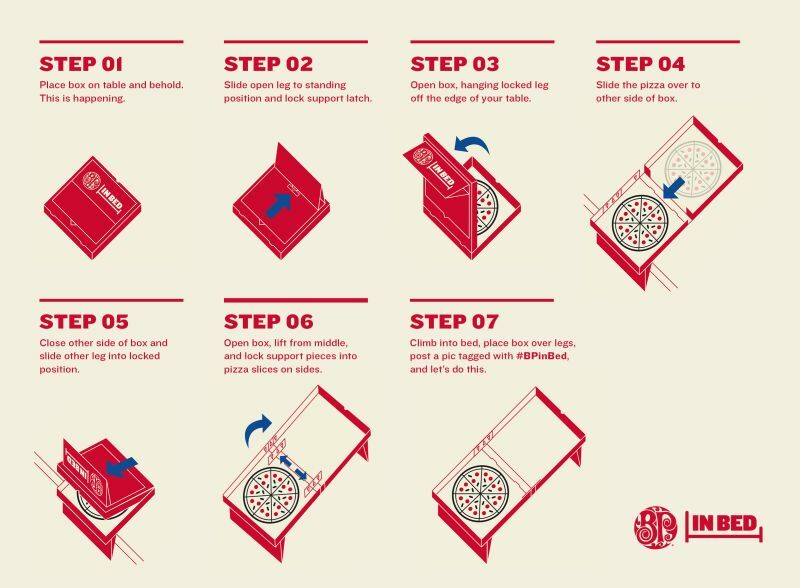 The result is a pizza box with legs that easily unfold and lock into place. And just like that, you can comfortably eat a pizza in bed. Just in time for Father’s Day, Boston Pizza revealed this pizza box through an online video. Created entirely out of cardboard to adhere to food and safety standards, the designers of the pizza packaging went through months of prototyping to ensure it was both easy and safe to use. 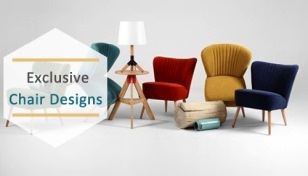 They wanted to build a product that easily turned into a makeshift table that’s high enough to fit over a person’s legs and low enough to comfortably eat at. 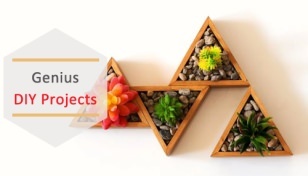 Looks like a cool idea but is actually part of a marketing campaign to attract more customers. This limited edition pizza box isn’t a buyable product though, Boston Pizza is hosting a #BPinBed contest to get a chance to win one. We’ve featured several packaging designs before but the multi-purpose pizza packaging by Nikolas Gregory for ‘Push For Pizza’ that becomes a weed pipe is another cool creation dedicated to innovation and fun.